Call of War Free-to-Play MMO RPG Strategy Game for PC and Mobile Devices. 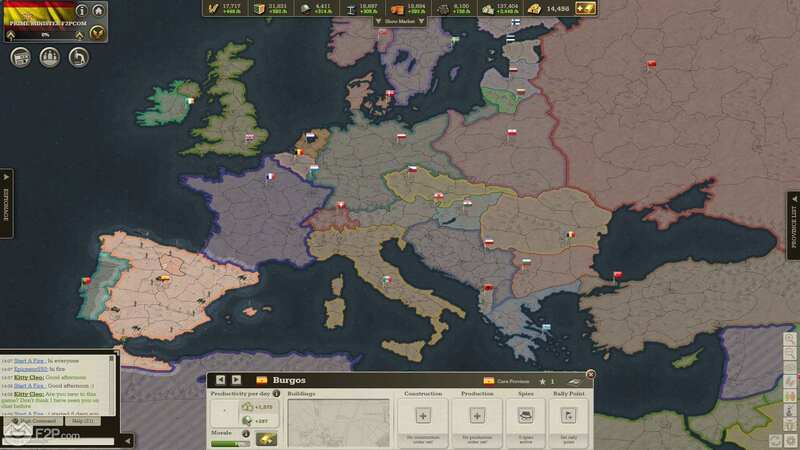 The core of the games revolves around access resources, training military units and controlling territory from the realistic map of North America and Europe, the entire map broken up into various province territories as controlled by specific countries. A player rules over one of these countries when they start out, owning certain provinces and their respective bonuses, and must build up a military to defend them and also expand their borders. Each world/map can hold a set number of players, each controlling one of the countries, and will start at Day 1 of the round. Key provinces around the map have a number of Victory Points associated with them, by controlling these key locations players will add the provinces’ Victory Points to their total; have enough Victory Points and the player will be declared the winner of the game and the round ends. There are various resources in the game such as Food, Money, Goods, etc. that players must acquire in order to construct buildings and train up units for their army, as well as an initial cost of resources players also need to pay an ongoing maintenance for each unity they have in their army. Resources are primarily earned through controlling provinces, all provinces give out Manpower and Money, but some also have access to key resources making them extremely valuable and key targets in an attack. One of the key aspects to the game is managing time, whether spent researching technologies, upgrading buildings in a province or producing a particular unit, everything takes time to perform. Similarly units moving across the map can take hours or days depending on how far they must travel, so planning ahead is key to success. Players can only construct one building, or produce one unit, at a time in each province and are unable to queue building/producing by default; however, with the Higher Circle premium account purchased with Gold, players have the ability to queue so that they can manage their affairs when offline. To unlock different units then players must research corresponding technologies in the 5 main research trees for each unity type: Armor, Naval, Air and Infantry, as well as the Secret tree that unlocks all manner of powerful units. Technologies can only be researched after a certain number of days have passed in the round, each technology having its own pre-requisite day, and players must also unlock pre-requisite technologies to get access to higher tier units. Players are able to train up a variety of spies and put them into their employ, either having them monitor their own territories conducting counter surveillance to stop rival spies, or conducting a variety of missions of their own. 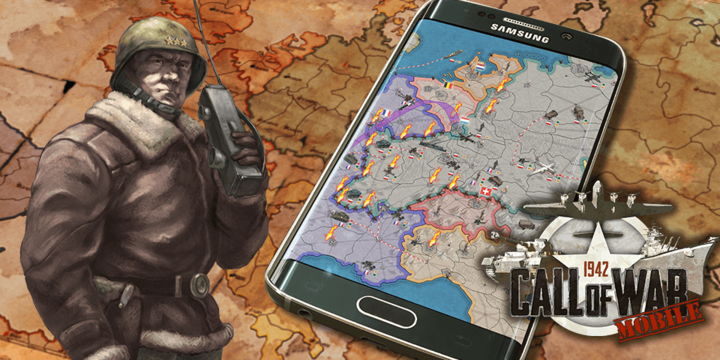 Spies can be used to find out important intel on rival players, pinpoint the location of their armies, hinder their resource production and more. Each day the worlds newspaper is updated to show people what key events have happened, generally shortly after they have taken place, giving players a constant stream of information as to how the world is progressing, who has declared war on who, and which rivals are now working together! Gold is a premium currency in the game that must be purchased with real world money, with it players can part rush the majority of building upgrades or unit productions and also research unlocking to get them to finish quicker. When a player finds himself short on resources they can also use Gold to purchase an upgrade or unit with gold, the cost being equivalent to the resources normally required to create it. 3 Comments - "Call of War"
It`s full of buggs… admin don`t answer at question… iron hand on forum 🙂 i reported a bug 3 week but team dont answer …. Every week server will drop 4-5 hours without announce and after that they ask appologize. Dont worth to play this buggy game. ’tis true. Goes down about twice a week, bugs galore. Not ready for primetime. The actual mechanics of this game eave a whole lot to be desired. Combat is not at all predictable, and so unexpected surprises — like your 12 planes got shot down by 2 kinda thing — are very common. Also, the real-time nature of the game means you’ll spend several days waiting for the stupid incongruous result. The admins are not actually responsive, rather they send you an email telling you you’re wrong. Add to this the fact that it’s a pay to win type game and the enjoyment factor becomes pretty small. Too bad, because it could be a great game instead of a great disappointment.